Is the Inheritance Part of the Bankruptcy Estate? 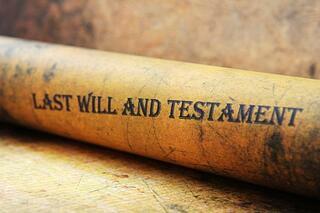 The fundamental question is whether or not the inheritance is part of the bankruptcy estate. When an individual files bankruptcy all of their assets and all of their liabilities become part of their bankruptcy estate. This estate is administered by a bankruptcy trustee. The trustee is concerned with whether the debtor has any assets that can be used to pay off the debtor's debts. Debtors are entitled to exempt a certain amount of property; that is, keep certain amount of property. To determine whether the inheritance is part of the bankruptcy estate, it must be determined what the effective date of the inheritance is. The crucial date is when the person leaving the inheritance died, not when the debtor actually receives the inheritance (which is likely months after the will is probated). Inheritances received within 180 days of your Chapter 7 bankruptcy filing are part of the bankruptcy estate. Therefore, the second crucial day is when the bankruptcy was filed. The day the bankruptcy petition is filed, counts as Day #1. If the person leaving the inheritance dies 181 days after the filing of the Chapter 7, the inheritance does not become part of the bankruptcy estate. Congress created the 180-day rule to prevent people from filing bankruptcy just to protect an upcoming inheritance. Once it is determined that the inheritance is part of the bankruptcy estate, the next question is, whether or not the inheritance is exempt. The analysis depends on the amount of unused exemptions an individual debtor has. There is no separate exemption for inheritances and therefore a debtor's "wildcard exemption" would have to be used in order to cover the exemption. For help with a Chapter 7 bankruptcy and to get a free consultation, contact us today.